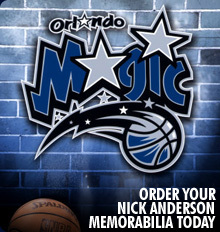 Throughout the year, Orlando Magic great, Nick Anderson may be available to deliver a keynote speech to your customers, clients or employees. Many corporations have recently hired Thurman to speak about football, teamwork, motivation and leadership. 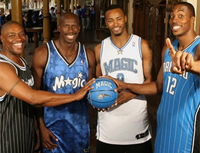 Finishing his career as the Orlando Magic's All Time Leading Scorer, Nick has displayed leadership throughout his career and speaks about what it takes to get to the top. 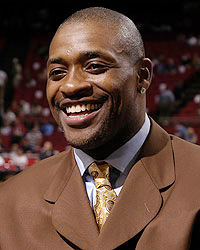 For speaker engagement fees, autograph signings, VIP Meet & Greets, product endorsements, contact our team or speak to an agent about Nick Anderson’s Speaker Fees.